Hello everybody! 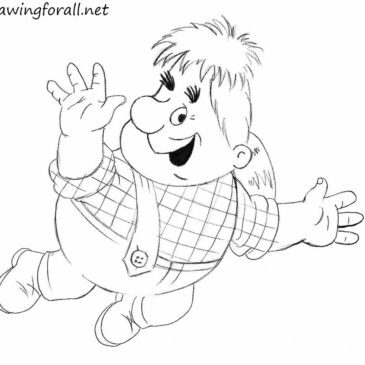 Today’s lesson will be especially interesting for those who like to draw cartoon characters. 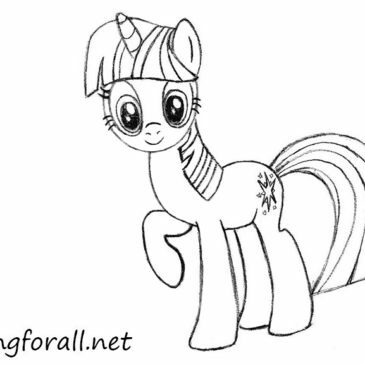 In today’s tutorial, we will learn how to draw a pony Twilight Sparkle. Hello everybody! Today we have prepared a new drawing tutorial about how to draw the Rolling Stones logo. We think that this will be a fairly simple lesson. Hello everybody! 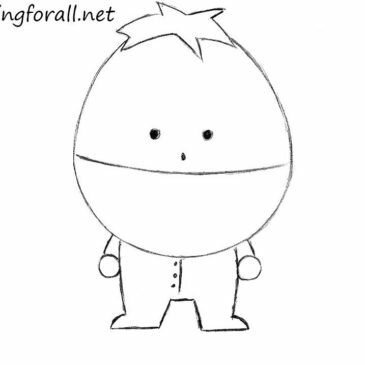 Today, we have prepared a very simple drawing tutorial, in which we will teach you how to draw Ike Broflovski from South Park. Hello Everybody! Today we bring you a new drawing tutorial, in which we will talk about Karlsson – famous Swedish character created by Astrid Lindgren in 1950’s. Hello everybody! It is DrawingForAll with a new drawing tutorial. And today we are going to draw is not quite a usual character. 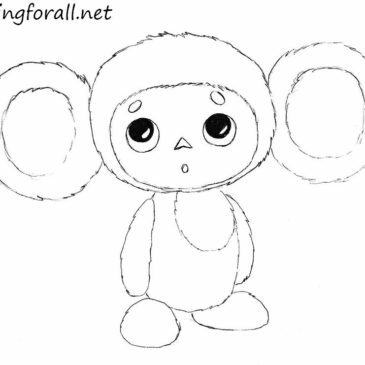 We will draw Cheburashka. Hello everybody! 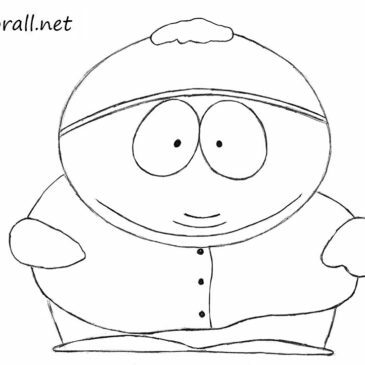 Today we’ll show you how to draw Eric Cartman! In general, all the characters of South Park are drawn very simplistic and disproportionately. And Eric Cartman is no exception. So, let’s start the tutorial! Hello everybody! 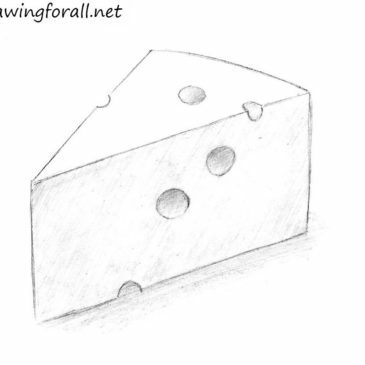 We present you a new drawing lesson about food, and today we are going to draw cheese. This tutorial is quite simple, but in the end, we have to get a realistic piece of cheese. Hallo everybody! Today, we have prepared for you a new drawing tutorial. 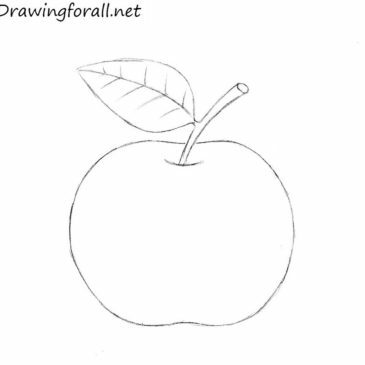 And as you have already seen, today we will draw an apple. Hello everybody! Today we have prepared for you a very simple drawing lesson. 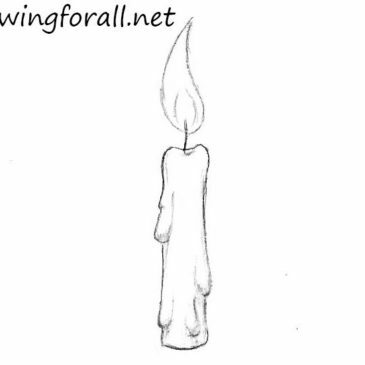 As you have seen in the preview, we will draw a candle. Hello everybody! 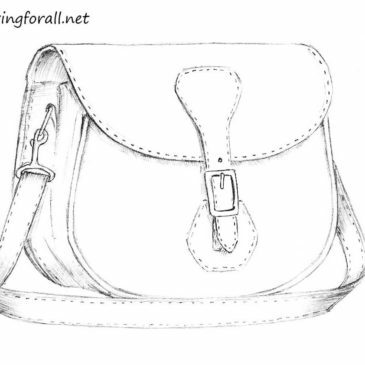 Today we’ll show you how to draw a bag. In this tutorial, you should not have much difficulty with geometric shapes and smooth lines. So let’s start this tutorial!